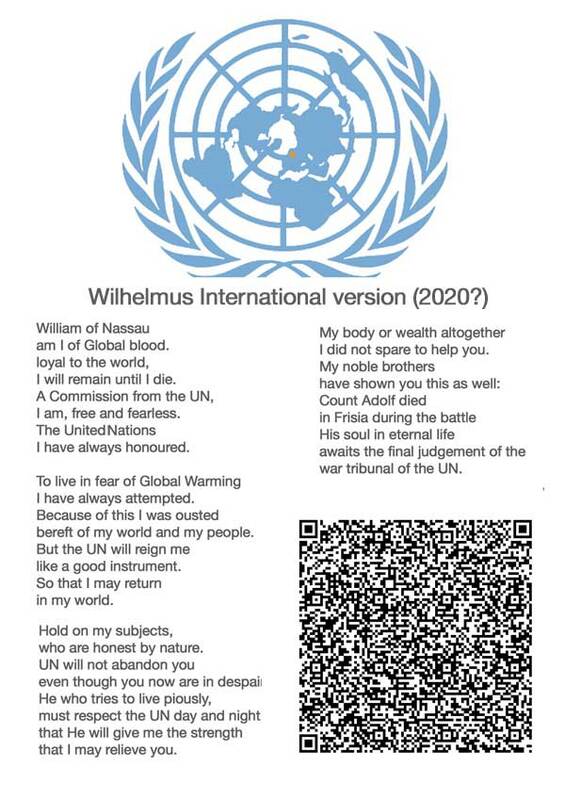 In the light of changing global awareness and a strive toward one world system hereby a proposal to change the anthem to a modern and a more global oriented version. The text has also be modified to replace the historical events with current ones. the idea came when I realized i was suppose to sing the dutch anthem at queens-day but I felt I can not do that because the text is for me a very limited point of view how we can and should relate to the place we are born. I prefer the way that Ryokichi Hirono ( see yr-design.biz for a short video about him) refers to his birth place.